Frost free refrigerators and freezers have a heating element to defrost the evaporator coils, and a tray of some sort to collect the water and allow it to evaporate to the outside. The water usually collects into a drain pan and will evaporate on its own. This ingenious system eliminates the need for the manual defrost process. Usually, the defrost cycle runs on a built-in timer and operates a few times a day. Terms like "automatic defrost," "frostless," or "no-frost" all refer to this technology. Fortunately for most consumers in this day and age, whether a refrigerator is frost free or not is generally not a consideration. It is worth double checking when you are shopping to ensure that the unit is frost free, but the vast majority are. This is a great feature for saving you time and effort! ...So keep in mind the auto vs manual defrost issue if you are shopping for these units. Automatic defrosting does use more energy than manual defrosting, and can result in noisier operation as well since the freezer will have to work harder to cool the interior after the defrost cycle. Sources are mixed on whether automatic defrosting helps prevent freezer burn or encourages it - some argue that the temperature fluctuations caused by the defrost cycle throughout the day can cause freezer burn. However, these temperature changes in the interior of the freezer are very small, only a few degrees. The evaporator coils may be heated up from 0 degrees to 32 degrees during the auto defrost process, but that doesn't mean the freezer storage area is being heated that much. As long as your food is wrapped properly and used up in a timely manner, you should be fine. Manual defrost freezers have a few advantages - they use up to 40% less energy than self defrost freezer models, and are typically slightly cheaper than frost free models. If you don't mind the once-a-year chore, they can be a great choice. For added, convenience, look for a model with a front drain so it's easier to connect a hose to drain water during defrosting. Every time you open your freezer, you're adding moisture from the outside into the freezer compartment that can turn into frost. If you open your freezer often, a frost free model would be a better choice. If you want to deep freeze food for long term storage, a manual defrost deep freezer could work well for your needs. 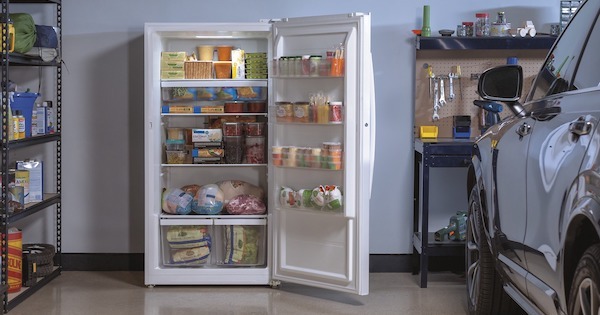 We hope you enjoyed this brief discussion of frost free freezers vs manual defrost. 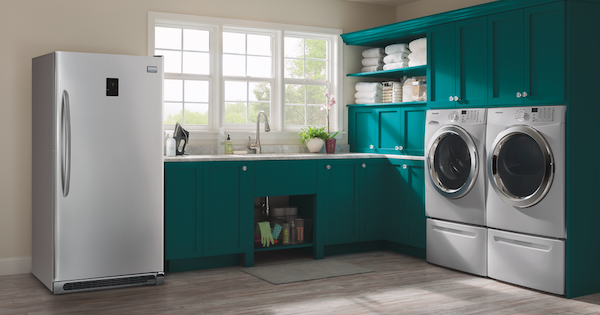 This should help you decide if a frost free refrigerator is right for you. Please leave a comment below. We'd love to hear from you! Editor's Note: This blog was originally written in November of 2017 and has been completely revamped and updated for accuracy as of the publication date noted above.